Have you ever heard the adage, “addition by subtraction”? Well, that’s what is going on in Florida thanks to gun hating Republican State Senator Miguel Diaz de la Portilla losing his reelection campaign to Democrat Jose Javier Rodriguez by about 6 thousand votes. Portilla, for two years has single handedly blocked campus and open carry from becoming the law of the Sunshine State even though the State Senate is overwhelmingly pro gun. Now you may be thinking that Rodriguez is a pro gun guy and that is what I meant by addition by subtraction but that couldn’t be further from the truth. Rodriguez is just as anti gun than Portilla; though Portilla might still have a job had he not turned his back on the Bill of rights, but I digress. No, the victory for the 2nd Amendment in Florida comes because Portilla was the Chairman of the Judiciary Committee. And it was from that seat of power that for 2 consecutive years, Portilla would reign like a despot refusing to allow the open and campus carry bills from going to the full Senate for a vote, instead ensuring that they died in committee. After passing the Florida House of Representatives and with a willing Republican Governor ready to sign the bills into law, it was Portilla who took a play from Harry Reid’s book of tyranny to single handedly decide what should and shouldn’t be allowed to be voted on. Frankly, Portilla usurped the entire process to undermine the will of the people. And wouldn’t you know it, that would be potentate lost his reelection. The addition comes from his replacement, not for his Senate seat but rather in which Senator takes over as the Chairman of the Judiciary Committee. State Senator Greg Steube, staunch 2nd Amendment advocate and open carry supporter. On December 9th Steube wasted no time and filed SB 140 for the 2017 session. With him as the Chair it will not be held up in committee but rather will get the full vote of the Senate that it so richly deserved. With Portilla’s defeat the make up of the Senate has changed slightly with 25 republicans to 15 Democrats but only a simply majority is needed for the bill to pass and with even a greater Republican majority in the House and a willing Governor in Rick Scott, Florida will soon join the other 45 states in the Union that allow open carry of firearms. Now, do I have some issues with SB140? Sure. First and foremost it still requires a permit in which to openly carry. Currently 30 states do not require any permit in order to open carry a firearm, 15 do and 5 (including FL) do not allow open carry at all. I will chalk this up to needing to placate a jittery public who have been brainwashed into thinking that criminals follow the laws and that needing a permit is stopping ANY criminal from carrying a gun. But it IS a first step and becoming the 46th state to embrace open carry will put pressure on the last remaining pro gun state to follow suit, South Carolina. As for the final three, New York, California and Illinois…well that will be a tougher road to hoe. The mental disease of liberalism permeates throughout California but in Illinois and New York it is confined to the major city in each state. If they can work around that then who knows. All in all thanks to the RINO Portilla losing his reelection, the people of Florida are one step closer to being able to exercise their right to keep and bear arms more freely and that is a good thing. Sometimes you just have to cut out the cancer to save the body and FORMER Republican State Senator Miguel Diaz de la Portilla was that cancer. Now that he is gone the Senate body can move forward in healing the scars of tyranny that Portilla had left in his wake. There are some things that need to be worked on, mainly section 12(a) which lays out where guns are prohibited from being carried even with a license. A simple amendment here will allow for campus carry as well as open carry and I am hoping such an amendment will be introduced. Once passed, the law will go into effect on July 1st 2017. 37  penalty of $25, payable to the clerk of the court. 51         (d) Is not ineligible to possess a firearm pursuant to s.
137  firearm by any other provision of Florida or federal law. 159  committing acts of domestic violence or acts of repeat violence. 178  request expedited processing of his or her application. 182         (a) A completed application as described in subsection (4). 200  investigation for 1 year after his or her retirement. 206  law to process fingerprints. 208  described in paragraph (2)(h). 211  hair, measures 7/8 of an inch wide and 1 1/8 inches high. 231  to exceed $5 for this service. 242  pursuant to chapter 120. 247  disposition or proof of restoration of civil and firearm rights. 265  process as provided in this section. 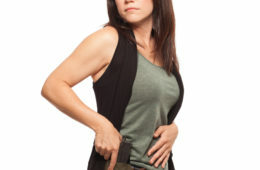 270  concealed weapon or firearm license application. 275  agencies through the Florida Crime Information Center. 282  noncriminal violation with a penalty of $25. 310         (g) Is adjudicated an incapacitated person under s.
313  or similar laws of any other state. 336  that notice was given. 362  subject to criminal prosecution under s. 837.06. 363         (b) A license issued to a servicemember, as defined in s.
421  prohibited by federal law. 429  degree, punishable as provided in s. 775.082 or s. 775.083. 441  charge imposed pursuant to chapter 215. 444  revenue fund of the county and shall be budgeted to the sheriff. 467  impair or diminish such rights. 470  issued, revoked, suspended, and denied. 487  angry or threatening manner, not in necessary self-defense. 488         Section 3. This act shall take effect July 1, 2017.